You worked hard creating your dog cake recipe. Now make sure the finished product keeps! "Do I need to use a mold inhibitor?" We are frequently asked this question. Just as the name implies, this type of product prevents the growth of mold on a food product. 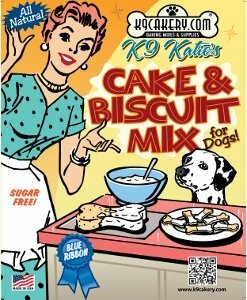 Dog bakery supply companies like K9Cakery.com will have a product available for this very use. 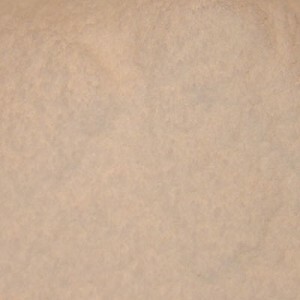 A mold inhibitor is a natural product and contains sugar free potassium sorbate. Potassium sorbate stops yeast from reproducing and taking over! This chemical compound is used in many products besides dog treats, such as wine, cheese, soaps and lotions, to keep mold and yeast from growing in a moist environment. This increases increase the shelf life of these products. Only a small amount is needed to preserve dog cakes and dog treats. This amount is not enough to cause toxicity. There are groups that roam the internet trying to scare you about using anything that is not a completely natural food substance, but this is not always practical for 21st century business applications. This mold inhibitor contains water and potassium sorbate. If you are using a dog cake recipe to make dog cakes or dog treats that will be eaten within a few days, you will not have to add the preservative. The baked items are not going to be around long enough for mold to start to grow! 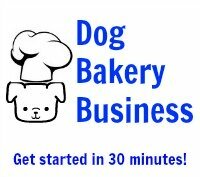 Dog bakeries or dog treat businesses that plan on keeping their baked goods around for a longer period of time are typically the ones who have concern and need to prolong the shelf-life. This product will stabilize fats and oils and prevents spoilage in dairy products, baked products, sweets, and more. We have pages dedicated to providing easy cake recipes with accompanying videos for you to watch and follow. Pick the recipe that appeals to your taste - your pet will love it too.